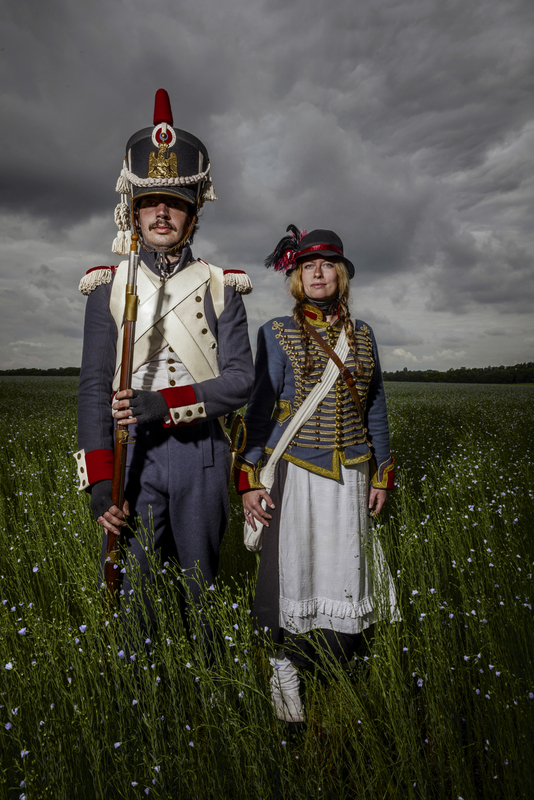 ‘La Belle Alliance’ is what the Prussians called the battle that took place at Waterloo over two centuries ago. Every year worldwide thousands of reenactors portray the past. Devoting their time to carefully reconstructing events and periods these men and women form a new community, an alliance where nationality and age are irrelevant. Being deprived of any modern comfort, exposed to wind and rain, reenactors live crammed into canvas tents and even sleep outdoors during these events. Some of them looked so drained. The soldier who had just returned from the battlefield after carrying the wounded prince of Orange to safety still looked bewildered. 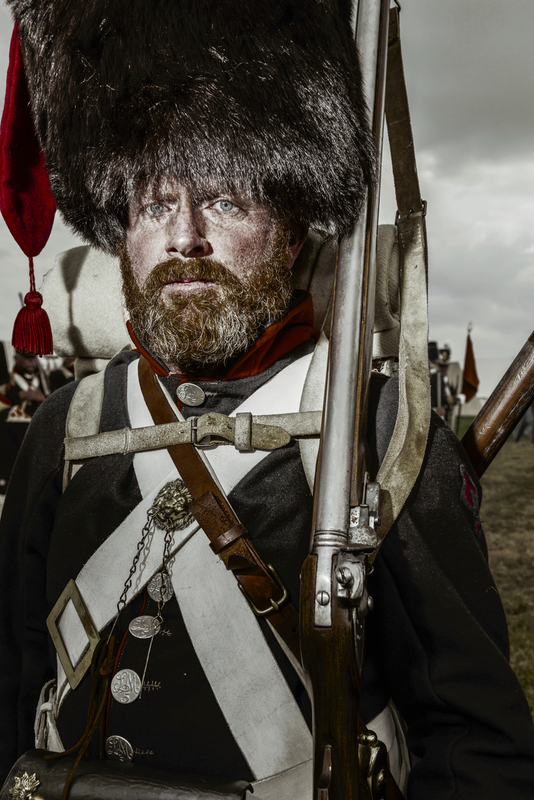 The reenactors live the reality of reliving the past. What does this dialogue with the past tell about ourselves? While working on this project, I chose to shift my focus away from the event and rather concentrate on making portraits of the reenactors; an attempt to show a glimpse of history through these people. Therefore my way of portraying is an interpretation of history. 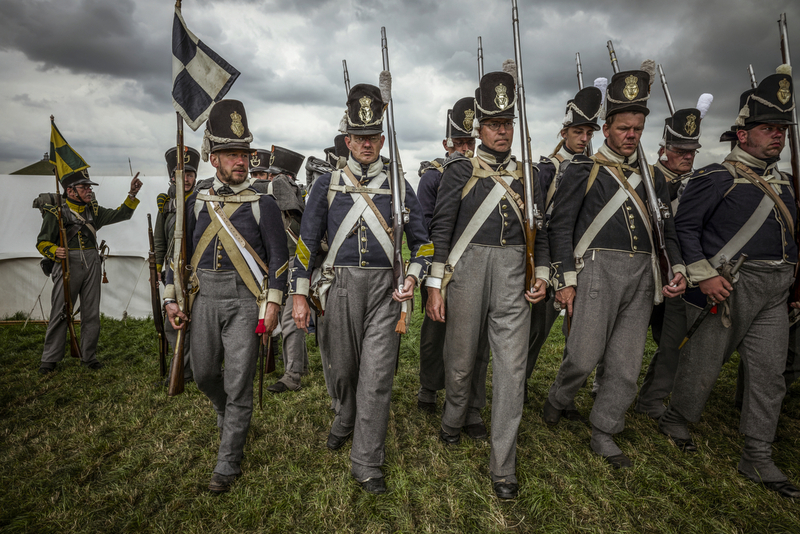 Exact 200 jaar na de slag bij Waterloo staan opnieuw duizenden soldaten tegenover elkaar om de slag van 1815 zelf te beleven. Een reportage van personen die graag 200 jaar in de tijd terug keren.